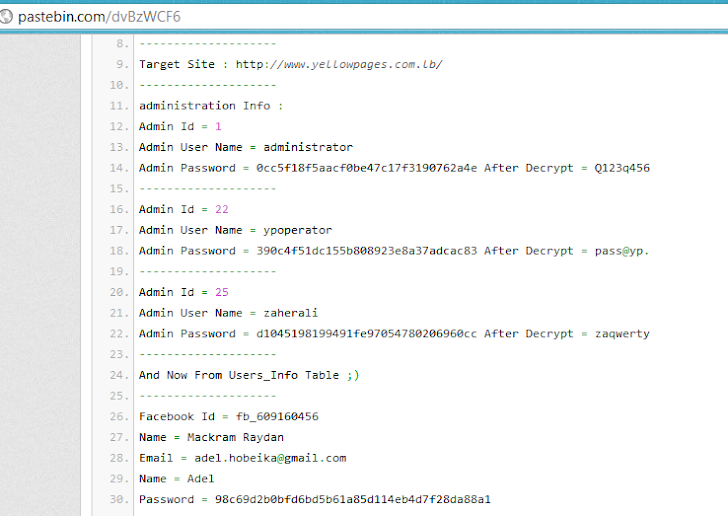 Lebanese Yellow Pages website (http://www.yellowpages.com.lb/) database compromised by Hacking Group known as Mad HackerZ Team. Hackers manage to hack database of site and leaked it on internet. Most probability hackers uses Sql Injection Exploit to get the database . According to Softpedia report, They also gained unauthorized access to other domains which they defaced to host their protest messages. The defaced sites include the ones of a political figure called Rafic Al Hariri, an online store named Dunes, Frontpage-lb, a computer company, and the site of a football team.